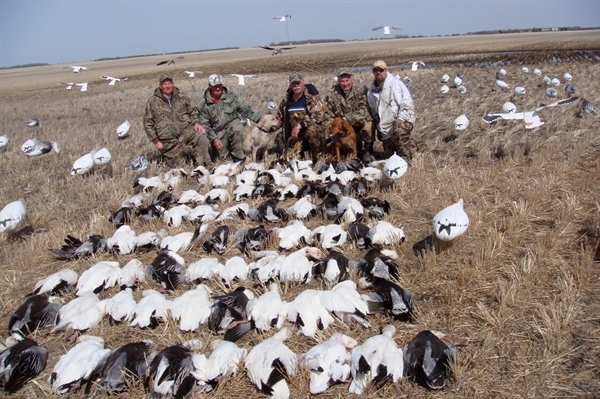 The Snows On The Prairie 8.1 Snow Goose E-Caller CD by Prairiewind Decoys our BEST CD to Date..........8 Tracks Total. 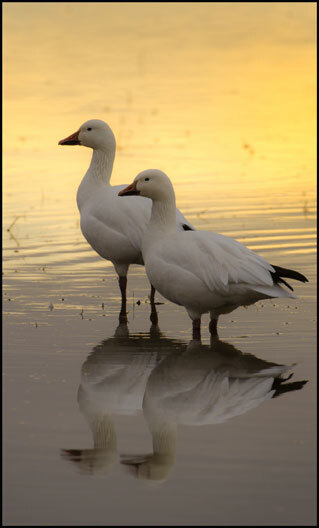 We have added 2 new Tracks - "Pure Feed Gabble"and a "Snow/Speck Mix". Plus the other 5 tracks have been professionally "polished". All the imperfections and "Fuzz" have been eliminated. 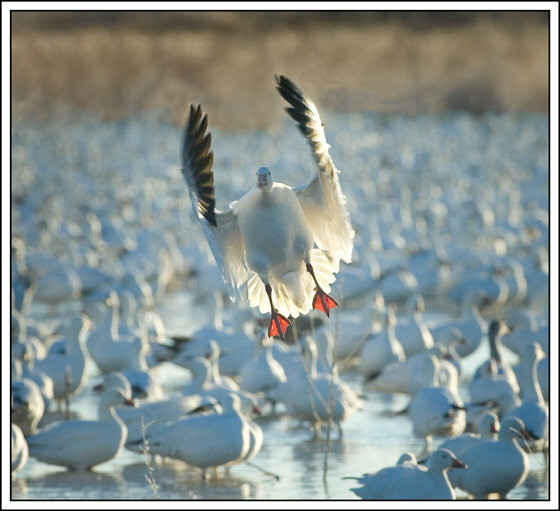 Here is a proven Snow Goose Hunting E-CALLER CD! For the past 5 years, we have shot limit after limit after limit with these sounds programmed into the new Squawk Box E-caller. 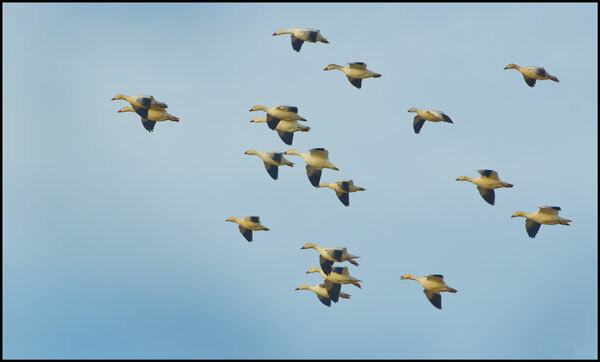 Or you can use it in CD player, convert to an MP3 player, or program into your Squawk Box or FoxPro E-Caller. 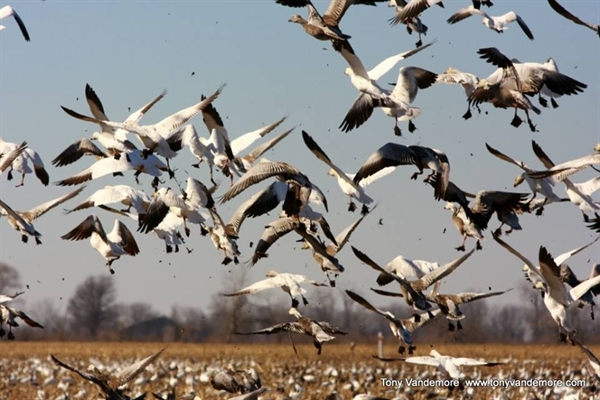 All tracks are of live Snow Geese. 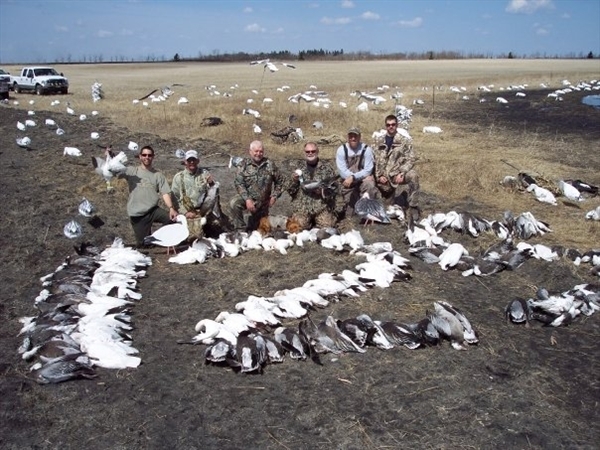 SOP8.1 CD is putting meat on the table and in the freezer! It contains 8 tracks, each with a different tempo. Track #1 is A NEW "FEEDING GABBLE" - This is an awesome track for quiet days. Track #2 contains "FEEDING GABBLE WITH BARKS". My favorite track. 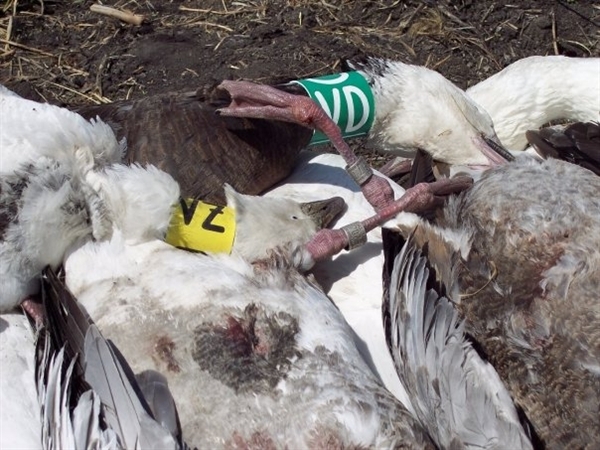 Track #3 is "INCOMING/FEEDING MIX for medium wind days. Track #4 is "INDIVIDUAL CALLING SNOWS" - excellent in any condition. Track #5 is "EXCITED CALLING" - use when you want to see them blink! Track #6 is "GROUP CALLING" for windy days. 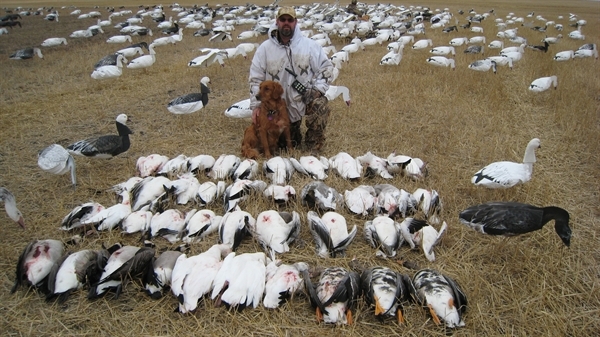 Track #7 is "SNOW/SPECK MIX"- Use this to draw and finish the Specks which will in turn finish the snows behind them! Deadly technique! Note: Not legal to use Canada. Track #8 "Great track! Something brand new that they have never heard!" 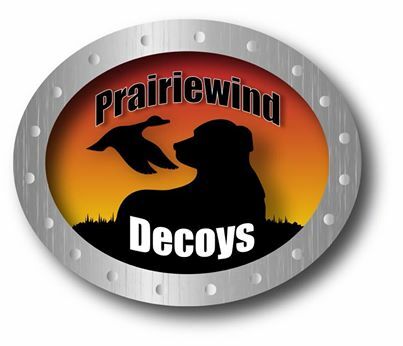 Snows On The Prairie 8.1 Snow Goose E-Caller CD by Prairiewind Decoys will definitely add 8 more "lures" to your tackle box. This CD has been proven successful over the past several years. Our harvest pics show the truth. Here is some amazing footage and snap shots of SOP8.1 in action! We load 3 CD's into our E-caller. 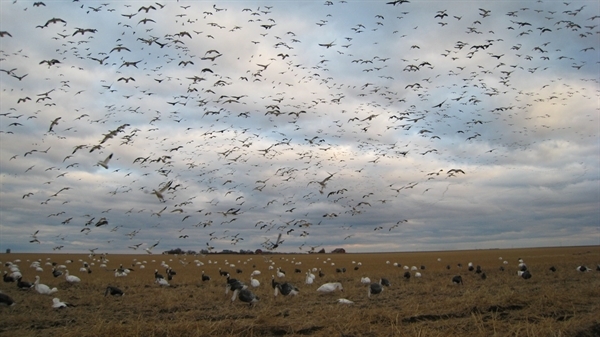 Snows on the Prairie 8.1, Snow Bait, and Snows Down Low. This gives us a variety of sounds to try in different situations. 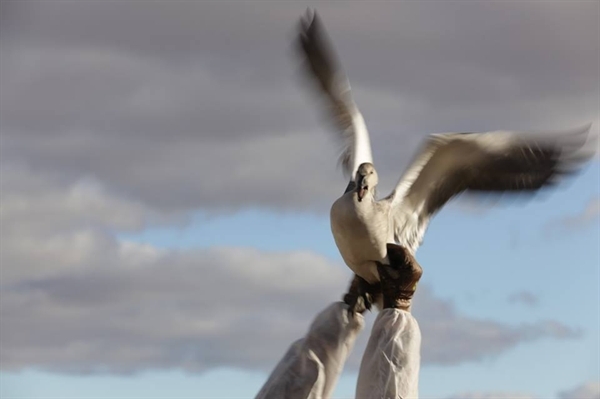 Everyday is different and have a "tackle box" full of sounds is the key to successful snow goose hunting.